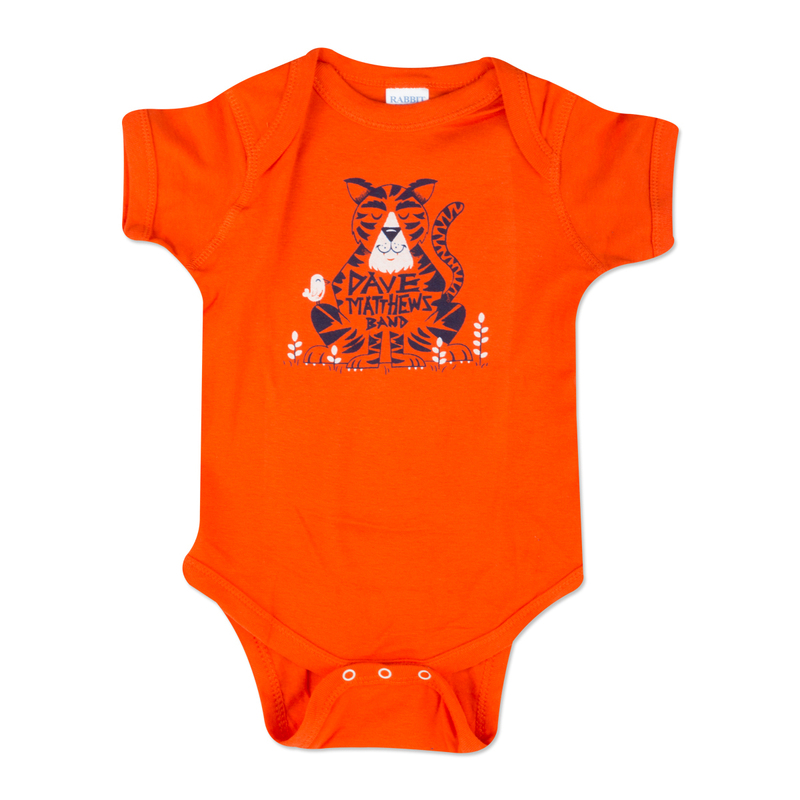 100% combed ringspun cotton infant onesie featuring the Tiger design on the front. THE CUTEST on my baby grandson, a very young Dave fan who loves when I sing him DMB songs. Very happy with this onesie! Made a perfect gift for our baby's first Christmas!! Onesie is exactly as it appears in picture.